Ian Parkin compiled and verified this 2019 Psychic World Summit post. When you speak to someone, can you tell how they’re feeling without them ever telling you? You might even be able to sense the vibe in a room the moment you walk in. Maybe you’re finding that penny with your loved one’s birth year in the most unexpected places. Sometimes that nagging feeling is just so strong that you’re sure there’s something to it, but sometimes it just feels like your imagination might be taking you for a ride. With all the noise of day-to-day life, is it just that some of us are too sensitive and we let the outside world cloud our energy? Who knows, it might just be a wonderful coincidence and surely there’s plenty of pennies to go around so that’s why you see them everywhere. And sure, that insistent feeling might have been right in the past, but sometimes when you need it most, there’s just nothing. But what if there’s something to it? We’ve all felt or experienced at least one of the scenarios above. If you’ve ever been accused of being overly sensitive or emotional, then you might just be an empath or a highly sensitive individual. And isn’t it comforting to know that maybe your passed loved one is leaving you little signs that they’re okay, but what other signs might you be missing? Whether it’s a gut feeling or intuition, it would be great if it were at least a bit more consistent. Open your heart. Open your soul. Get ready to feel, sense, and see it all in the next Psychic World Summit. The 2019 Psychic World Summit was called the Mystical Connections Summit. The 2019 Psychic World Summit wass called the Mystical Connections Summit. It took place online February 20th through to February 27th. Fairies, dragons, archangel warriors and mythical libraries filled with details about every event and lifetime that’s ever happened... It all sounds like the start of a great fantasy fiction story, right? Only this time, it’s REAL! Throughout time, myths and legends have persisted because those with the power to connect with other dimensions have confirmed over and over that they exist. And, deep down, you believe it, too. Caroline Myss, Brian Weiss, M.D., Sonia Choquette, and 22 others shared how to amplify the magic in your life, realize your destiny, turn your home into a sanctuary, create manifestation portals, connect with other dimensions... and so much more. The very first Psychic World Summit was also a raving success. It brought together some of the foremost experts in this arena to help you develop your own unique ability to listen to the messages around you and live in the world as a highly sensitive individual. 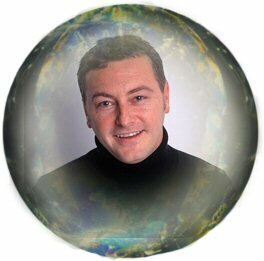 Renowned psychic medium John Holland speaks in this Psychic World Summit about his career as a medium, and how we ourselves can learn to perceive and receive intuitive guidance. After a serious car accident earlier in his life, John realized he couldn't ignore his psychic abilities anymore. Following a series of synchronistic events, he was able to spend more than two years in England studying with distinguished mediums and developing his own extraordinary talents. 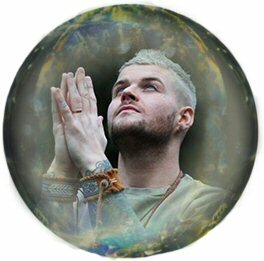 Here, John shares his insights into being a psychic navigator, an ability we're all naturally born with. He explains the differences between clairsentience, clairvoyance, and clairaudience, advising us to learn which one is our strength, and to develop it. Likewise, the four tools of psychic navigating—chakras, meditation, auras, and breath—may each be developed by refining our dominant one. John gives small questions that we can ask ourselves to practice enhancing our psychic abilities, which, like a muscle, we have to use in order to strengthen. You don't need any special equipment to be psychic, John says. You already are. 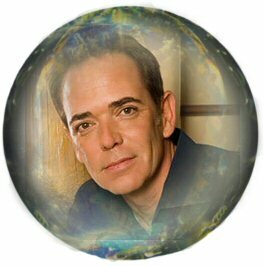 Bio: John Holland is an internationally renowned psychic medium, spiritual teacher, author, and radio host. His public demonstrations provide audiences with a rare glimpse into the fascinating subject of mediumship, which he delivers in his own unique style, explaining the delicate process of raising his own vibrational energy to link with the Other-Side and deliver messages, which he does with clarity, passion, and the utmost integrity. John has spent a significant part of his life developing his abilities, and spent two intensive years studying in the U.K., where he got the thorough grounding and training to become one ofthe most sought-after professional mediums on the world stage today! He has starred in several TV specials, including A&E’s Mediums: We See Dead People, which provided a fascinating insight into how John works as a “psychic time machine,” where he’s able to pick up vibrations and detailed information, whether it’s seen, felt, or heard from a past event. He also starred in his own pilot, Psychic History, for the History Channel. He is the author of the bestsellers Power of the Soul, Psychic Navigator, Born Knowing, The Psychic Tarot Oracle Deck, The Spirit Whisperer: Chronicles of a Medium, The Psychic Tarot for the Heart, and his latest deck, The Spirit Messages: The Daily Guidance Oracle Deck, as well as five apps and numerous online workshops based on his signature workshop series. John hosts his own Internet radio show on Hay House Radio, called Spirit Connections, which has been running for over nine years. He says, “If I can help people connect with someone on the Other-Side, and bring peace, comfort, and perhaps some closure, then I feel as though I’ve done my job.” . Join world-renowned medium and clairvoyant Lisa Williams in a heartfelt, humorous, and in-depth exploration on how to open your psychic awareness and connect to yourself and others on a higher spiritual plane. 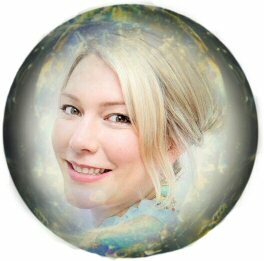 Lisa, who is also a best-selling author and sought-after teacher, offers insights in this Psychic World Summit on ways to tune in to your sixth sense and develop your psychic ability. She also provides a powerful guided visualization that will enable you to connect with Spirit and ask for signs, as well as many practical tips on strengthening your sensitivity and practicing psychic self-defense. Learn how to surrender to Spirit, discover what your purpose is on Earth, and connect with your loved ones on the other side to experience unconditional love, deep healing, and profound peace and well-being. 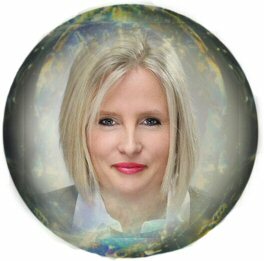 Bio: Lisa Williams is an internationally acclaimed medium and clairvoyant with an amazing ability to communicate with loved ones and friends who have passed on to the other side. Born in England, Lisa was discovered by Merv Griffin and introduced to audiences through two seasons of her own hit show Lisa Williams, Life Among the Dead. Her second series, Voices from the Other Side, premiered on Lifetime in October 2008. Lisa has also made appearances on The Oprah Winfrey Show, Good Morning America, Larry King Live, and Jimmy Kimmel Live!. Lisa blogs daily about her life and spiritual teachings at www.LisaWilliams.com, where she is able to interact with the public and her site members. 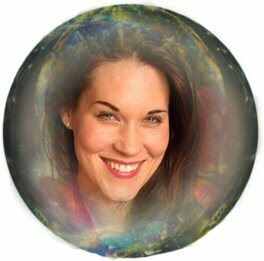 She is also a trained reiki and crystal healer as well as a devoted mother. Dougall Fraser explains what color energy is and the attributes of the colors you see in auras, as well as the shadow side of each color. In this segment of the Psychic World Summit Dougall will walk you through a guided color activation meditation to see what color you are, and allow you to experience color energy firsthand. You’ll explore how colors can help balance your life and ground your energy, as well as help you step into your power. Dougall will also teach you how light and color can magnify your personal intuitive expression, and he will share the scientific research connected to color. He’ll share ways to “read” auras and connect with color in your life. Discover what colors to call in to manifest your goals, cultivate deeper wisdom, communicate more clearly, and much more. Bio: Dougall Fraser is an internationally recognized color intuitive who specializes in interpreting the colors he sees around you. Over his 20 years of professional experience in seeing auras around clients, Dougall kept extensive notes on the personality traits associated with each color. He discovered that not only does each color possess consistent qualities, but the energy of each color can also be used to easily change and improve specific aspects of your life. From white to gold to emerald green, you can consciously draw strength and purpose from color to guide you toward achieving your highest goals and dreams. 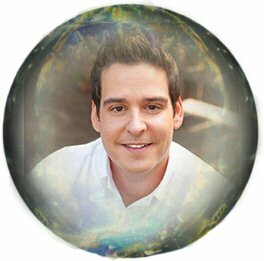 Dougall utilizes color therapy, clairvoyance, intuition, empathy, interior design, and practical advice in his sessions. World-renowned angel expert and international best-selling author Kyle Gray joins Colette Baron-Reid in an enlightening Psychic World Summit conversation about connecting with the angelic realm. Kyle shares some of his favorite daily routines for receiving guidance from the angels and staying grounded, and explains why oracle cards help to strengthen our intuition. You’ll learn different ways you can “see” the angels, and you’ll learn specific ways to get clear messages. Kyle discusses the purpose of angels as well as the difference between angels and spirit guides. He will also lead you through his powerful Heart Cave meditation to journey to meet your personal angel! Bio: Kyle Gray has had spiritual encounters from an early age. When he was just four years old, his grandmother’s soul visited him from the other side. Growing up, Kyle always had an ability to hear, feel, and see what goes beyond the natural senses, which eventually led to him discovering the power and love of angels in his teens. Now, at just 28, Kyle is one of the most hip and sought-after experts in his field. With his unique ability to stay grounded and keep it real, he reintroduces the idea of angels and spirituality in an accessible way and believes he can bring ancient spiritual knowledge across in a modern way to help the reader of today. Kyle speaks around the world, and his talks in the U.K. and Europe have been known to sell out. He is based in Glasgow, Scotland, where he runs his boutique yoga and meditation studio, The Zen Den. Lisa Lister—third generation witch and healer, and author of the best-selling book Witch: Unleashed. Untamed. Unapologetic - talks about how women all over the world are remembering and awakening to their innate, ancient, feminine power and reclaiming the word witch as a positive, empowering identity. In this part of the Psychic World Summit Lisa guides us through creating a sacred space in many ways, from working with the four directions, the earth elements, and calling in the goddesses for support. She shares how to heal the wounded witch within us -where shame, guilt, and fear around sharing our magic has been passed down through generations. She explains what a spell actually is, and how to set up an altar at home. You’ll also learn a powerful daily technique that you can do to call back your power. Lisa also goes over the five archetypes of the witch within. Listen in to find out your personal archetype, and to learn how to stand in your power to manifest your goals and desires. Bio: Lisa Lister is a writer, women's wellness practitioner, shaman, and third-generation witch, healer, tarot reader, and intuitive. 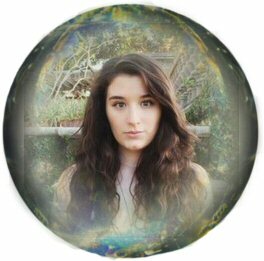 Her unique brand of lady magic and witchcraft is ancient women's wisdom combined with spells, lore, and magic that her nanna taught her, as well as the knowledge she's been passed in her apprenticeships with healers and teachers around the world. Lisa is dedicated to healing the wounds of the feminine, to retelling her story, and helping women to rediscover their magic. Heidi Sawyer, author of Highly Intuitive People: 7 Right-Brain Traits to Change the Lives of Intuitive-Sensitive People, reveals the power of intuition to guide and improve our lives. She reveals the traits of a highly intuitive person, as well as presents ways any one of us can increase our intuitive abilities. Heidi shares astounding real-life stories on the power of intuition, including how it saved her life and cured one of her clients of a terminal illness. During this lesson of the Psychic World Summit, you will learn how to begin eradicating blocks formed from fear and the ego while listening to your inner voice, as well as the one thing you must be willing to experience if you wish to gain a deeper connection to your intuition. 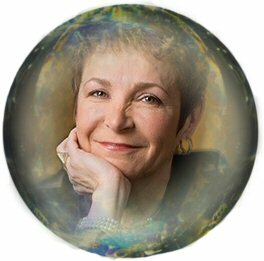 Bio: Heidi Sawyer is known worldwide for her work with intuition and the human mind. As an author and speaker, she helps people with their self-esteem and self-image through intuitive development at workshops, online courses and her supportive membership Circle. Colette Baron-Reid - brings over 30 years of experience as a world-renowned intuitive counselor, psychic medium, TV personality, author, and radio host to teach you all about oracle cards! You’ll learn how oracle cards can help you: stay on track in your life; know what next action-step to take; and use oracle cards as a powerful divination tool to co-create what you want. She’ll introduce the concept of the "intuition gym,” and share how to naturally go to that space on your own. She also shares her method for staying grounded and detached without feeling fear. Colette will guide you through her powerful meditation to “get on your bird” and completely detach from your feelings to help you get neutral before doing a reading. 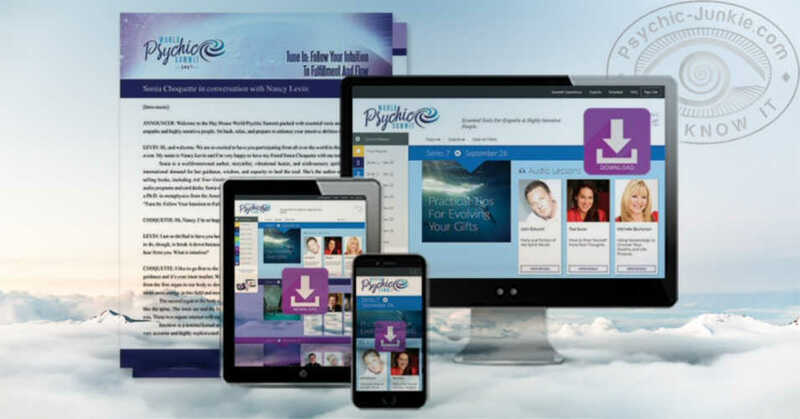 You'll also discover how oracle cards work as a bridge between us and Spirit, and learn how to get in a partnership with Spirit to be a clear channel for others. 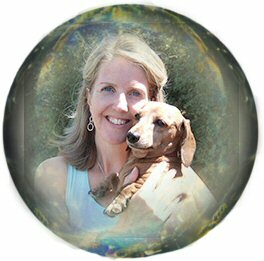 Bio: Colette Baron-Reid is an internationally acclaimed intuitive counselor with a client base spanning 29 countries. She has facilitated hundreds of her popular seminars and workshops on developing intuition and the art of creating reality worldwide. She’s a highly sought-after and powerful motivational speaker, performer, and storyteller; is a popular guest on radio and television throughout the world; and a musical artist signed to the EMI Music label. She has a best-selling meditation CD, Journey Through the Chakras. David Wells shares how he first became aware of his abilities when a near-death experience triggered by viral pneumonia allowed the veil to lift. After this, he spent the next 11 years of his life studying the mystic Western tradition called the Qabalah. In David's section of the Psychic World Summit he talks about how to maintain your personal power during your intuitive psychic journey and how the Qabalah can help you create your own mystical pathway. He discusses the 3 pillars of the Qabalah and how it is an organizing system for astrology, mediumship, the tarot, and much, much more. David also clearly explains the difference between psychic ability, mediumship, and clairvoyance. He ends with a technique to attract the higher realms and to honor your feelings, even if it means walking away from something. David will also guide you through a calming meditation to reveal your natural intuitive gift. Bio: David Wells was born in a small coal-mining community in the Scottish borders. Growing up in a large family, he frequently experienced psychic and mediumistic moments. He left home at 16 to join the Royal Navy where he spent nine years working on various ships, including active duty during the Falklands conflict and time aboard Her Majesty’s Yacht Britannia, where he worked directly for the Royal Family. Having left the service, David’s psychic and spiritual journey was re-awakened by a severe illness: viral pneumonia. During recovery, he was guided to study astrology and the Qabalah and, over a decade of weekly teachings, uncovered his lost and hidden truths, his psychic and intuitive gifts. He now teaches past-life work, Qabalah, and writes for many magazines and newspapers in the U.K. He has six books published by Hay House and is passionate about helping others uncover their own truths. Marisa Moris explains who our spirit guides are and how to raise our awareness to see them more clearly. She also shares helpful tips to get out of your mind and call in your guide. You'll learn simple visualization exercises to enhance your intuition and learn how to detach your awareness from your body as well as pull back in and get grounded. 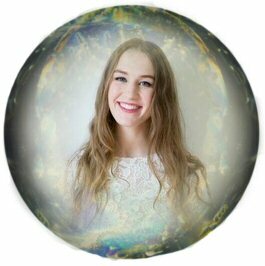 She shares her daily Snow Globe technique to learn how to see and feel your own aura, fill up your energy “gas tank”, and connect to your higher self. You'll also hear a very special channeling from some of her wise master guides. Bio: Marisa Moris is an ordinary mom and wife with extraordinary abilities to receive information from Source. When not caring for her infant daughter, Madison, Marisa teaches classes on intuitive healing, mediumship, and how to develop your intuition. As a former highly successful mortgage broker and real-estate professional, Marisa understands the stresses of everyday life and the obstacles facing those who seek spiritual enlightenment. Marisa is here to help others raise their awareness and to bring to the planet information that can be of benefit to as many people as possible. This compelling, channeled conversation, which originally followed on from the book From Deep Space with Love, is sure to expand your awareness. Mike Dooley directs his burning questions about life and manifesting to the entity known as Frank, a collective of eight beings who currently live in a distant galaxy. Tracy Farquhar channels the answers by drawing on the experiences and wisdom of Frank’s much older civilization, which has overcome the trials and tribulations we’re now undergoing on Earth. You’ll gain insight into the energetic transference that happens with channeling, the trajectory of this physical existence on Earth, learn how to tune in to our inner guidance system, and discover how to be a conduit for universal wisdom. Tune in to hear Frank present ideas that challenge the status quo and reveal the true limitless nature of the Universe—as well as humanity’s ability to consciously shape a better world. 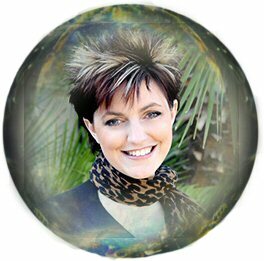 Bio: Tracy Farquhar is an internationally known professional psychic medium and channel, psychic development instructor, Certified Infinite Possibilities Trainer, motivational speaker, and author of the best-selling book Frank Talk: A Book of Channeled Wisdom. Her second book, From Deep Space with Love, is co-authored with Mike Dooley and published by Hay House. 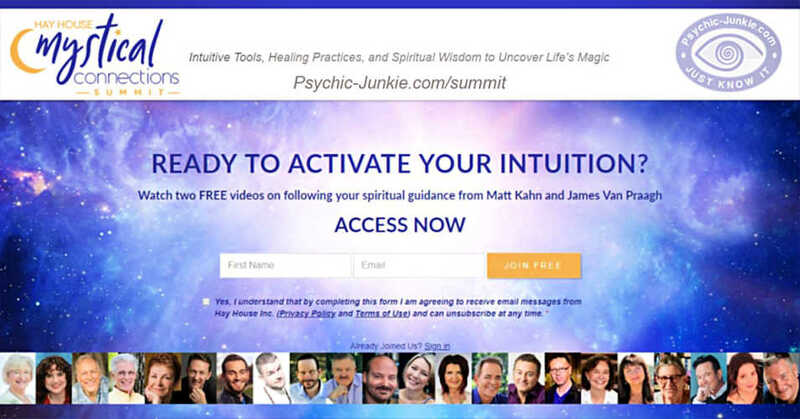 This fascinating Psychic World Summit conversation between two unbelievably talented psychics is full of simple, practical advice on how to better tune in to your intuitive abilities. James Van Praagh begins and ends the discussion with beautiful meditations, which bookend topics that include being aware of and trusting your senses, communicating with your spirit guides and loved ones who have passed to the other side, developing your mediumship, and seeing auras and energy. Interviewed by John Holland. 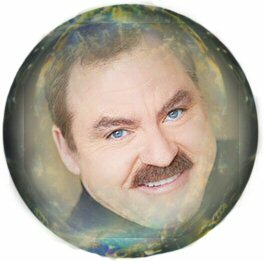 Bio: #1 New York Times best-selling author of over a dozen spiritual classics James Van Praagh is hailed throughout the world as a pioneer of the mediumship movement. His messages have brought solace, peace, and spiritual insights, changing millions’ view of life and death. James has appeared on virtually every national radio and television show, including The Oprah Winfrey Show, Larry King Live, Dr. Phil, and many more. He hosted his own nationally syndicated show, Beyond, and was a successful producer for CBS, creating Living with the Dead, starring Ted Danson, and The Dead Will Tell, starring Eva Longoria. He was the creator and executive producer of CBS’s hit series Ghost Whisperer, starring Jennifer Love Hewitt. Pea Horsley teaches you how to get started communicating with animals—which she says is as natural as drinking coffee! Pea will lead you on a guided meditation to connect and communicate with an animal companion, enabling you to experience life from their perspective. By understanding their feelings and exchanging a message, you will experience a whole new level of connection. Pea shares questions to ask animals and how to support them as they are reaching their transition. Pea gives several examples of animal communication, even with animals who have crossed over. She also shares a remarkable story of a severely injured dog who asked to stay longer and ended up climbing a 2,000-foot mountain nine months later. You’ll also learn the most common messages the animals have for their human guardians. Bio: Pea Horsley had no intention of ever being an animal communicator, being highly successful in another field, but then her first dog, Morgan, arrived, and he introduced Pea to animal communication. Animal communication captured Pea until she had surrendered with heart and soul. Although it came to her late in life, now a decade later, Pea is a much-loved leader in animal communication and a TEDx speaker, teaching worldwide and author of two books. According to soul-contract consultant and animal intuitive and psychic Danielle MacKinnon, an animal soul contract is a pre-birth agreement between your human soul and an animal’s soul, where the animal helps you work on something in this lifetime to help you evolve on a deep level. So, if you have a pet, you’re not going to want to miss this conversation! Danielle teaches us that we don’t need to be psychic to connect with our animals - in fact, this ability could actually make it more difficult to receive information from your pet. In addition to the heartwarming stories that Danielle tells, she explains the many different ways in which our beloved companions get their messages across to us, as well as five ways to communicate back to your pet that you’re working on your animal soul contract. She even takes listeners through a special meditation that will help them gain clarity regarding what, exactly, the soul contract with their pet is. If you have an animal or have had one in the past, this incredible conversation will shed light on why yours may be acting (or did act) in strange ways. Get ready to be amazed! 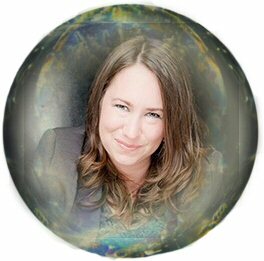 Bio: Danielle Mackinnon has been named one of psychic investigator Bob Olson’s Best Psychic Mediums. She has also been on Afterlife TV; on The Juicy Living Tour with Lilou Mace; a featured teacher at the esteemed Omega Institute in Rhinebeck, NY, with colleagues Colette Baron-Reid, Robert Ohotto, and John Holland, as well as a teacher at LilyDale Assembly in NY, East West in Mountain View, CA, and other highly regarded organizations throughout the U.S. She has been highlighted in newspapers, magazines, radio shows, and more, and her client base spans the globe. She is also featured in HayHouse author John Holland’s book Spirit Whisperer, and in Elevated Existence and Of Spirit magazines. Gordon Smith gives a fun and frank discussion about what it means to be a medium and how to develop your abilities, no matter what level you are. Gordon offers tips on how to raise your vibes, engage your telepathy skills, and truthfully communicate messages and feelings. He discusses the role that your spiritual contract and guides play in your life and how the work of a medium is similar to that of a healer. You’ll learn why meditation and “sitting in the silence” is so essential to connecting you to your core self, which is the first step in building the trust and self-knowledge that you need to communicate with the spirit world. To start you off on your path, at the end of this interview Gordon will lead you in a special five-minute “Sitting in the Silence” meditation. Bio: Gordon Smith, the author of Spirit Messenger and The Unbelievable Truth, is an astoundingly accurate medium who’s renowned for his ability to give exact names of people, places, and even streets. 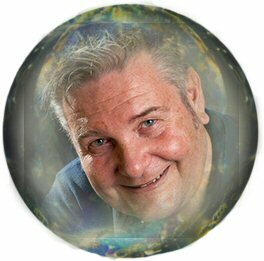 Gordon travels all around the world demonstrating his abilities, offering healing and comfort to thousands of people. His extraordinary skills have attracted the attention of university scientists researching psychic phenomena, as well as countless numbers of journalists and documentary producers. Rebecca Campbell, author of Rise Sister Rise, discusses what it means to be a lightworker, the Magdalene Consciousness, and the work of she - which are those ancient archetypes rising within us around the world today. Learn how to anchor the light wherever you are with Rebecca’s tools from her Empath’s Tool Kit. Discover powerful ways for protecting your energy as a highly sensitive empath with her Merkaba visualization. Rebecca will also recommend some spirit guides to work with to help you stay in your power and protect your energy. You’ll also learn how you can listen to and honor your intuition, and move past the need to be good for everyone else, with an exercise to “zip yourself up,” as well as some simple things we can do every day to start honoring the divine feminine power rising within us. 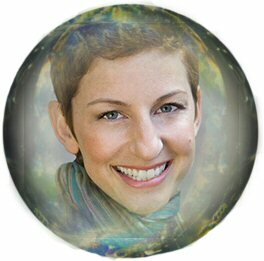 Bio: Rebecca Campbell is a best-selling author, intuitive guide, and spiritual teacher. She teaches internationally on topics such as intuition, creativity, and living a soul-led life. Sabrina Choquette-Tully and Sonia Choquette-Tully (the daughters of Sonia Choquette) talk on how to get in touch with your intuition and why leading with our intuition is the way we’re naturally designed to live. Discover how to tell the difference between your intuition, emotions, and intellect. You’ll also learn why it is so important for young people to develop their intuitive connection and how intuition helps to remedy spiritual ailments like feeling lost or disconnected. Learn breathing and grounding techniques, which will help you start tuning in to your intuition right now, as well as clarify if it’s your intuition or your head, and much more! Bio: Sabrina Choquette Tully is the co-author of her first book, You Are Amazing. Having been raised in an environment where intuition was firmly at the helm, Sabrina wants to reconnect people to their own intuitive knowing with humor, wisdom, and compassion. Knowing no other way than being connected to her intuition, Sabrina was raised attending workshops and teaching with her mom as far back as she can remember, and has been mentoring clients for years. Her mission is to bring grounded spirituality to a new generation. Bio: Sonia Choquette Tully, big sister to Sabrina Choquette Tully and co-author of their debut book, You Are Amazing, has made it her life’s mission to normalize living a spiritual and connected life. Sonia and her sister are here to empower young people to trust themselves while grounded in their intuition. Knowing firsthand that her peers have been dealt a different set of problems than previous generations, Sonia, alongside her sister, Sabina, are dedicated to bringing a fresh and relatable voice to the spiritual world. These sisters want to remind people that when we are connected to authentic selves and guided by our intuition, we can create a magical life. Sonia has also been mentoring clients for over a decade as well as teaching and traveling with her mother, Sonia Choquette. Working with her family in her life mission is her greatest joy and privilege. Have you ever felt stuck or found yourself asking How can I be sure? In this thrilling Psychic World Summit conversation, renowned author, vibrational healer, and six-sensory spiritual teacher Sonia Choquette explains how to leave that bad neighborhood of doubt and move into the flow of what's true. Explaining in simple terms just what intuition is, Sonia demystifies inner guidance and offers numerous exercises and practical tips for tuning in to your higher self. Learn how going for a walk can transform your life, and follow along as Sonia presents simple questions that will get you unstuck and in the flow, as well as a meditation you can return to again and again to become more peaceful, confident, and informed. It's all only a breath away! 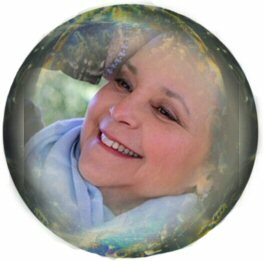 Bio: Sonia Choquette is celebrated worldwide as an author, spiritual teacher, six-sensory consultant, and transformational visionary guide. An enchanting storyteller, Sonia is known for her delightful humor and adept skill in quickly shifting people out of psychological and spiritual difficulties and into a healthier energy flow. She is the author of 19 internationally best-selling books about intuitive awakening, personal and creative growth, and the transformational leadership capabilities that reside within, most notably with the New York Times bestseller The Answer Is Simple. New York Times best-selling author Caroline Myss discusses the intriguing and powerful world of archetypes. Archetypes are patterns of reaction and thought that are born within you that help organize your life. They determine what and who you’re naturally attracted to, which activities entice you, and which causes you take up. Your archetypes help govern the way your life unfolds, so knowing which archetypes you relate to - plus their strengths and weaknesses - can help you make better, more conscious choices in your actions. After laying the groundwork through explanation and examples, Caroline moves into a discussion of responsibility and what is necessary to make actual change in your life. Talking about a wide variety of topics, from intuition to true forgiveness, Caroline helps you understand the power inherent in owning your archetypes. Bio: Former publisher, author, and lecturer Caroline Myss teaches all over the world. The founder of the CMED Educational Institute is passionate about bringing the teachings of the great mystics into modern-day society, as so many of the crises and challenges facing people are spiritual crises diagnosed as psychological ones. Caroline has been a guest on Oprah’s shows many times and is presently working on a new book for Hay House. Did you know that a gut feeling isn't the only type of intuition we have at our disposal? In this lively and humorous conversation, Becky Walsh, one of the world's leading authorities on intuition, talks about a less well-known type of intuition: the intuition of the heart. She explains the difference between gut intuition and heart intuition, and explains why, contrary to common belief, a gut feeling can't always be trusted. Becky discusses the roles of love, curiosity, and purpose in enhancing our intuitive powers, and shows how humor allows quick access to intuition. Finally, she reveals why she thinks that connecting to our heart-centered intuition is the shift that the world needs, and includes an exercise that will help you connect to your heart-based intuition. 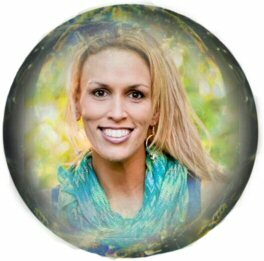 Bio: Becky Walsh has been a teacher, speaker, and workshop leader in the field of intuition and spirituality for many years. She is the author of three books, including the Amazon bestseller Advanced Psychic Development, and writes for many magazines. She is perhaps best known for having presented and produced her own weekly radio show on LBC 97.3, a three-hour show which enjoyed 97,000 listeners. Becky has made regular TV appearances and performs live shows of intuition and comedy. She is passionate about being the catalyst that brings others back to their own intuition and power. New York Times best-selling author and world-renowned psychic medium John Edward blazed a trail for many people to follow, including fellow psychic medium John Holland. For the next hour, you will experience the treat of hearing two of the top individuals in their field discuss how they learned to use their psychic abilities, and how you can develop your own. In this frank and candid conversation, John and John weed out the “psychic B.S.” that they see around them. In the process, you’ll discover whether certain pervasive ideas about the spirit world are fact or fiction. For example, is our future actually set in stone? Do those who commit suicide really stay in some sort of limbo? What happens when atheists cross over? Is education important for psychics? Can mediums instantly call the dead to them, as depicted in countless movies and TV shows? And is there a difference between a psychic and a medium? You’ll also receive a number of tips and tools to hone your own intuitive gifts, which will not only improve your life, but the lives of those around you as well. For, as John Edward says, we are each like a lighthouse: we all have the ability to spread light around us. At the end of this remarkable interview, you’ll definitely feel your light shining bright! 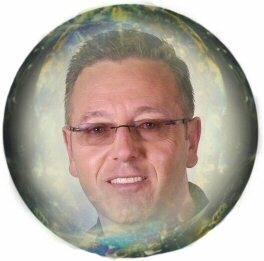 Bio: John Edward is an internationally acclaimed psychic medium, and author of the New York Times bestsellers One Last Time, Crossing Over, and What If God Were the Sun? In addition to hosting his own syndicated television show, Crossing Over with John Edward, John has been a frequent guest on Larry King Live and many other talk shows, and was featured in the HBO documentary Life After Life. He publishes his own newsletter and also conducts workshops and seminars around the country. John lives in New York with his family. Escaping from a cult at age 19 and re-embracing her powerful extrasensory abilities at 25 years old, Teal Swan is committed to teaching people to achieve their highest levels of empowerment and take down their most limiting beliefs. Able to observe the world vibrationally and actually see people's emotions, Teal puts people back in touch with their emotional guidance systems in order to cultivate true self-awareness. Join Teal as she explains her powerful processes for changing beliefs; the criticalness of eliminating negative beliefs, not simply affirming their opposite; and how to get in touch with our emotions, our real sixth sense. Teal also delves into the fascinating topics of why we choose our parents, why people shut off their intuitiveness, and how we are incapable of thinking a thought that is not meant to come to fruition. In this universe, Teal emphasizes, you could not think to want something that wasn't meant to be yours - if you want it, it must be. Bio: Teal Swan is an internationally recognized spiritual healer. As a child, she was ritually tortured for 13 years; after her escape, she began the process of transforming the deepest darkness of her experience into light. Now she helps people across the globe to do the same. 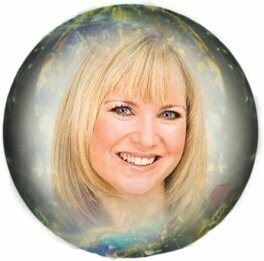 Join numerologist and author of The Numerology Guidebook, Michelle Buchanan. After experiencing a life-changing numerology reading that helped her recover from an eating disorder, Michelle decided to learn as much as she could about the practice that helped her so greatly. She believes that numerology can be used as a personal blueprint to better understand ourselves, the people in our lives, and the energy of the world around us. This guidance system can help us make decisions and work in alignment with Source to fulfill our life purpose. In this interview, you'll learn how to calculate your own life path number, the most crucial of the seven core numbers, and what that number may mean for your life purpose. Michelle also gives an affirmation specific to each number that will help you create the life you're meant to live! 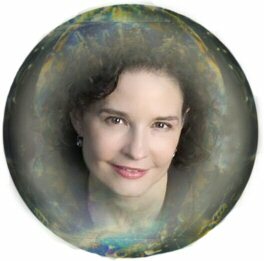 Bio: Michelle Buchanan is a speaker, teacher, and writer who has studied numerology for 24 years. She was formerly the spiritual counselor for Woman’s Day magazine (New Zealand), as well as the resident numerologist for Television New Zealand’s Good Morning. 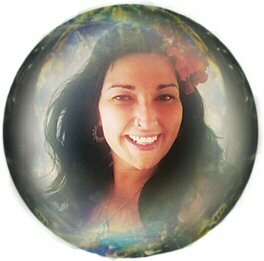 Michelle provides personal readings, workshops, and seminars to clients all over the world. Whilst suffering from anxiety and addiction at the age of 21, Michelle was gifted a numerology reading in an effort to get her life back on track. Despite thinking numerology was “a load of rubbish,” Michelle decided to bite the bullet and give it a go. Now 25 years later, Michelle believes that numerology reading was a major turning point in her life. Due to the accuracy of the information she was given in the reading and the positive impact it had on her life, Michelle decided to become a numerologist to help others improve their lives too. 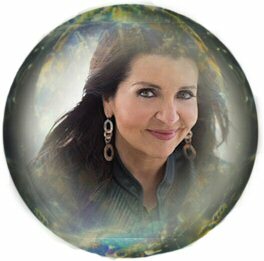 Michelle is the author of The Numerology Guidebook, Hay House Basics: Numerology, and The Numerology Guidance Cards.